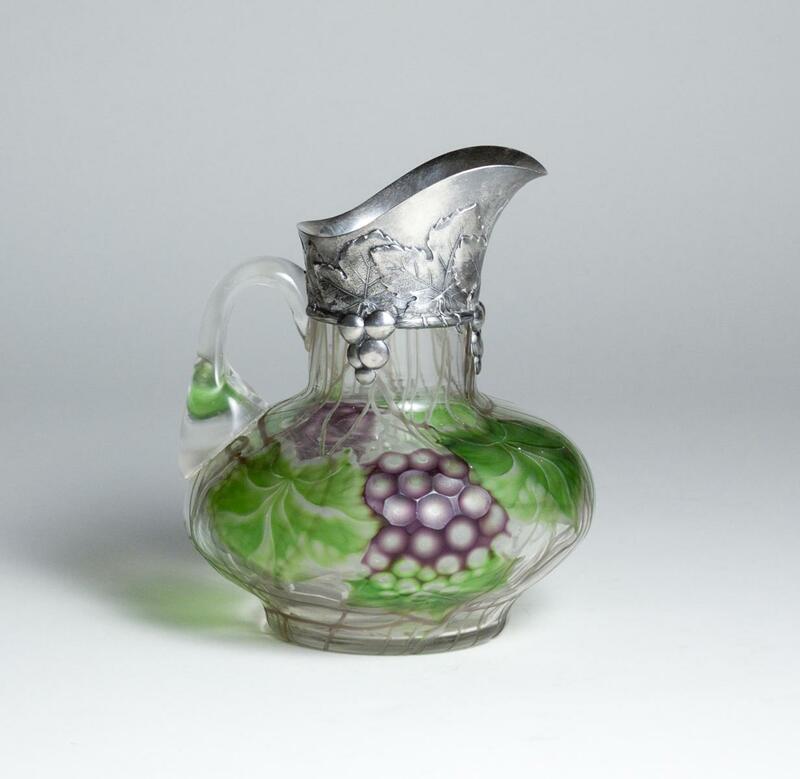 An extremely rare and wheel-carved Tiffany Favrile Glass Ewer with Sterling Silver mount by Tiffany & Company. The thick clear glass of the wide, rounded body is decorated with intaglio motif of green grape leaves, clusters of purple grapes, and thin light brown vines interspersed throughout, the cylindrical neck mounted with sterling silver spout by Tiffany & Company. 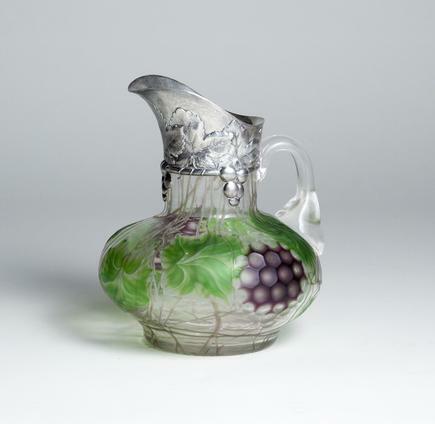 The mount is decorated with applied grape leaves with fine chased detailing, the clusters of rounded silver grapes and vine tendrils dangling down over the edge of the mount onto the body of the vase. A thick, applied handle of clear glass joins the body of the vase to the sterling silver mount. A related Wine Jug is in the permanent collection of the Indianapolis Museum of Art, while a large Favrile Glass bowl with Sterling Silver mount in the same design was donated by famed Tiffany collector Walter P. Chrysler, Jr. to the Chrysler Museum in Norfolk, VA in 1971.